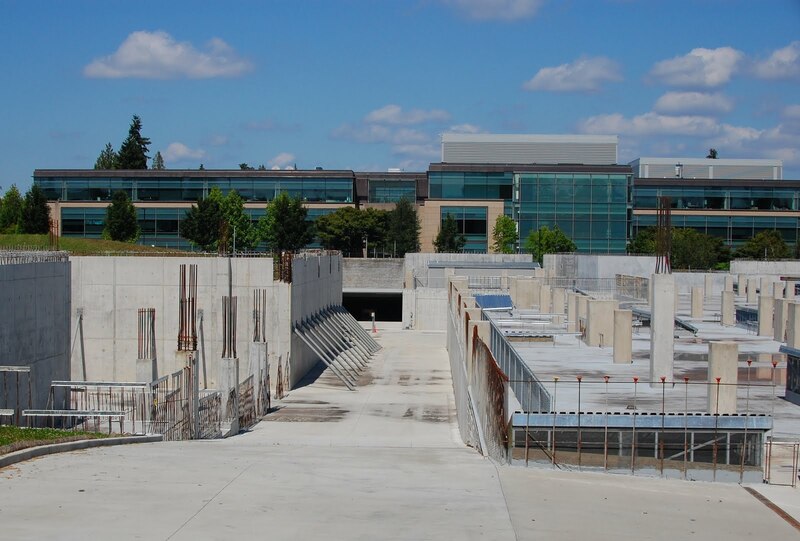 Microsoft's Building 83, at in Redmond was begun in 2008, but was halted last year to save capital costs concurrent with a hiring freeze. Current plans are to resume construction in 2013. Building 84 is on the horizon to the north. Here's a view of the site before construction started.